Here in Berlin, Germany’s Bauhaus Archiv is throwing a farewell party. 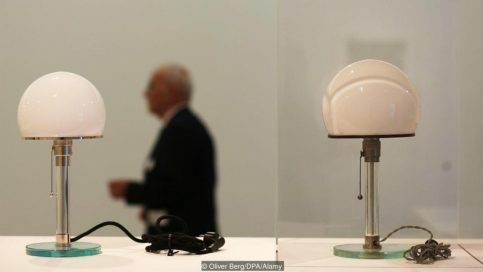 Next year this museum will close for renovation, and until then it’s presenting a display of ‘greatest hits’ from the world’s biggest Bauhaus collection. From furniture and posters to crockery and cutlery, these exquisite objects show how the Bauhaus school shaped our idea of good design. For most of us, the word Bauhaus conjures up a certain type of modern architecture – that stark aesthetic that spawned a million tower blocks. 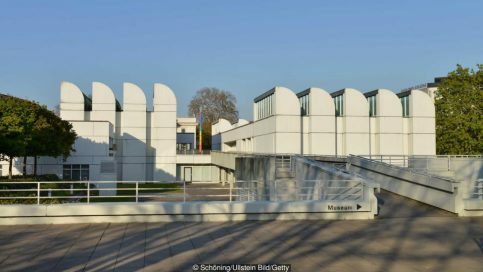 But the Bauhaus was much more than an architectural style – it was a new way of thinking, and a century since it was born, at the end of World War One, its ideas still set the pattern for the way we live today. 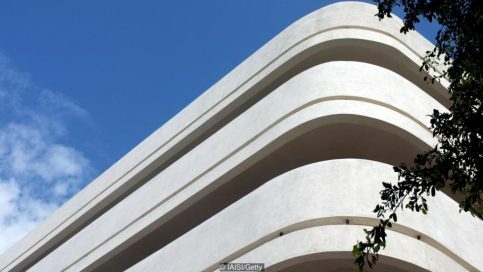 The Bauhaus was founded in 1919 in the German city of Weimar, by a Prussian architect called Walter Gropius. No architecture was taught here. It was a sort of art school, but one like no other. Instead of drawing nudes and still lives, students here were taught to look at the world around them in an entirely different way. Bauhaus means ‘building house’ but Gropius didn’t want to build only houses. He wanted to create a new breed of artists, who could turn their hands to anything. Traditional art schools were conservative and elitist. Technical colleges were dreary and conventional. 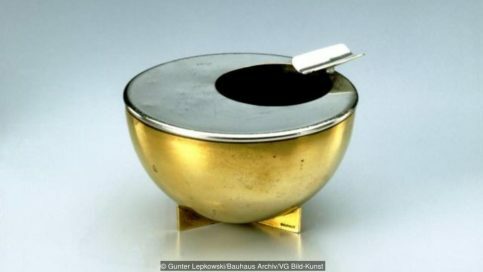 Gropius broke down the barrier between fine art and applied arts. “There is no essential difference between the artist and the craftsman,” he said. Pupils learnt pottery, printmaking, book-binding and carpentry. They studied typography and advertising. They went back to basics, and began again with fresh eyes. “An object is defined by its nature,” announced Gropius. “In order to design it to function properly, one must first of all study its nature. For it to serve its purpose perfectly, it must fulfil its function in a practical way.” Instead of sitting in stuffy classrooms listening to lectures, students were assigned to workshops. They learnt on the job. The results were extraordinary. The Bauhaus produced an incredible array of artefacts, from angle poise lamps to chess sets, all distinguished by their functional and elegant construction. They were simple and useful, and their simplicity made them beautiful. In an era of ornamentation, their streamlined appearance was revolutionary. This was a new age of design. Not everyone shared his vision. In local elections in 1924, the liberals who had supported the Bauhaus were defeated, and the new conservative government cut off the school’s funding. On 1 April 1925, exactly six years after it opened, the Bauhaus was forced to close. Yet by now, the word about the Bauhaus had spread way beyond Weimar, and another German city, Dessau, gave it a new home. The local government commissioned a spectacular new building, designed by Gropius. It was here that the Bauhaus came of age. In Dessau, Gropius started teaching architecture, but he added other genres too. There were workshops devoted to weaving, metalwork, photography and stage design. Gropius left in 1928 to resume his career as an architect, but under a new director, Hannes Meyer, the school went from strength to strength. Bauhaus wallpaper became the school’s bestselling product. At last, here was an art school which could actually pay its way. But German politics was polarising, and support for the Nazis was growing. In 1930 Dessau’s city council dismissed Meyer on account of his “communist tendencies,” and in 1931 the Nazis won the local elections, having promised to close the Bauhaus (they called it “cultural bolshevism”). Thankfully Gropius’s building survived and still stands there today, but the students and teachers were forced to flee. They found a new home in an old factory in Berlin, under their new director, the brilliant architect Mies van der Rohe, but in 1933 Hitler came to power, and shut the Bauhaus down. 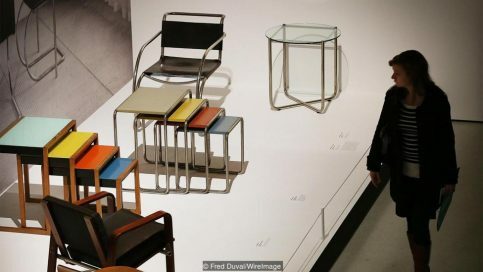 Why did the Nazis feel so threatened by the Bauhaus? Why were they so scared of an art school that made modernist furniture and kitchenware? Because it represented a world view which was the complete opposite of National Socialism. Nazism was nostalgic and nationalistic. The Bauhaus was cosmopolitan and avant-garde. Its international ethos made a mockery of Hitler’s racist fantasies. In a way, the persecution of the Bauhaus by the Nazis was a (very) backhanded compliment. They hated everything it stood for, but they were fearful of its power. Ironically, it was this persecution of the Bauhaus which ensured its survival. Had it been embraced by the Third Reich, it would have perished with it. Driven into exile, its philosophy spread around the globe. 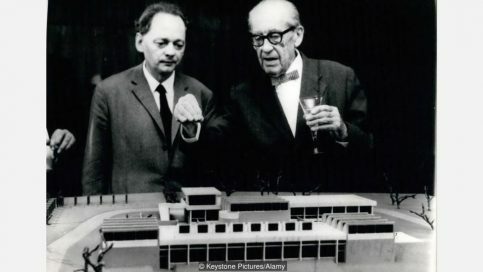 Gropius and Mies van der Rohe went to America, where they were joined by Bauhaus teachers such as Josef Albers, Herbert Bayer, Walter Peterhaus and Laszlo Moholy-Nagy. In 1937, Moholy-Nagy founded the ‘New Bauhaus’ in Chicago. In 1938, New York’s Museum of Modern Art staged a blockbuster Bauhaus exhibition. Bauhaus style was here to stay. 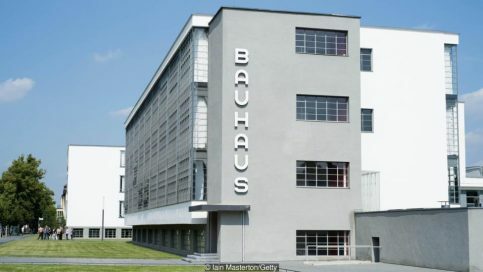 But what exactly is Bauhaus style? 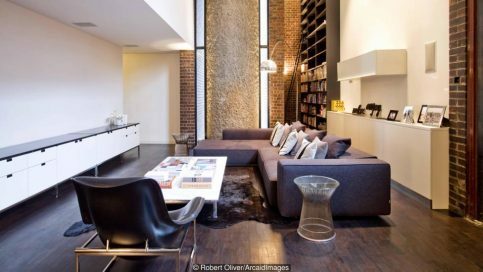 Like all design classics, you know it when you see it, but Mies van der Rohe’s motto, ‘Less is More,’ is a good place to start (‘chuck out the chintz’ is just as good). Form follows function. Each element is stripped down to its bare essentials. Everything is fit for purpose. 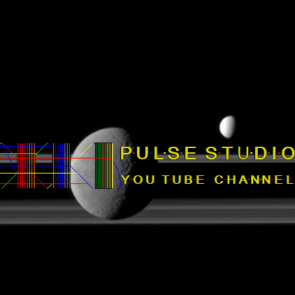 The result is austere, but strangely pleasing on the eye. Yet the true measure of its immense influence is how familiar it has become. Wandering around the Bauhaus Archiv (a futuristic building designed by Gropius, and eventually built after his death) the exhibits here seem so contemporary. It’s only when you read the labels that you realise they are nearly a hundred years old. Once a radical revolt against the status quo, Bauhaus style has become the new normal. And by becoming ubiquitous, it has disappeared – into the décor of our daily lives. Bauhaus in Motion is at the Bauhaus Archiv, Berlin until 8 January 2018. New Bauhaus Chicago: Experiment Photography is at the Bauhaus Archiv from 15 November 2017 to 5 March 2018.